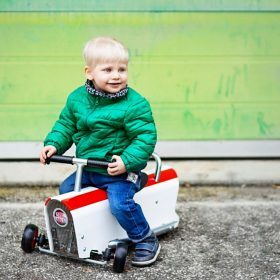 A ride-on for baby or child is part of the family of toys. A bit similar to bikes, trotters or speedsters it is composed of a seat, and three wheels at least. What is the ride-on toy for?